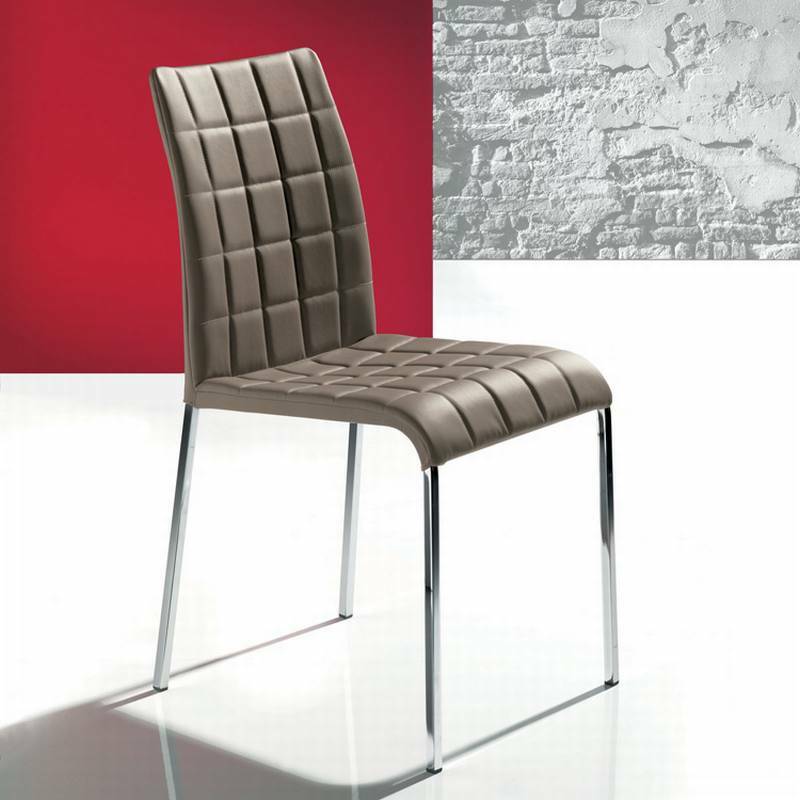 Description Luxurious dining chair with padded leather upholstered seat and a sophisticated quilted design. Steel legs with matt aluminium or chrome finish. Painted legs also available on request in various colours.